Katie Apreda lost her best friend, Ashton, almost eight years ago to a drunk driver. 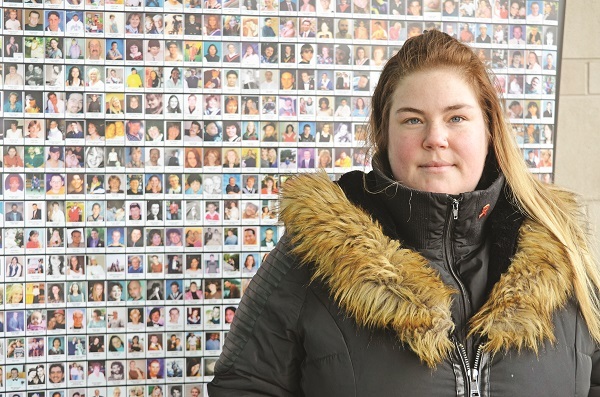 The tragedy has had a lasting impact on the Newmarket woman, spurring her to lend her voice to a movement fighting impaired driving in all its forms. Now President of the York Region Chapter of MADD (Mothers Against Drunk Driving), Ms. Apreda was on hand at the York Regional Police’s Aurora headquarters on Monday morning for the unveiling of a new vehicle that is now the centrepiece of the YRP’s R.I.D.E. program. The launch of the new vehicle was timed to coincide with St. Patrick’s Day, which is, according to police, their busiest day of the year for catching impaired drivers on the road. Equipped with up-to-date technology to make roadside testing as efficient as possible, it replaces a now-outdated truck that has served the YRP for more than 19 years. This frustration stems from grim statistics. According to Torrie, the York Regional Police has laid 300 impaired driving charges in 2019 alone. This compares to 265 by this time in 2018, and 257 in 2017. But, the York Regional Police, he added, are far from giving up on getting these numbers to trend downward. They have a commitment to “frontline and road safety officers, relentless education and awareness messaging in our communities” including the naming of impaired drivers pulled over each week. “As these impaired stats are increasing, so are the number of calls from members of the public,” he continued. “Year to date, we have received 794 calls, up from 636 in 2017. This key community partnership and the engagement of our community is integral in the enforcement surrounding impaired driving. What is clear is our community no longer wants to tolerate sharing the roads with these impaired drivers. Nor can they address the drive they have to make a difference.